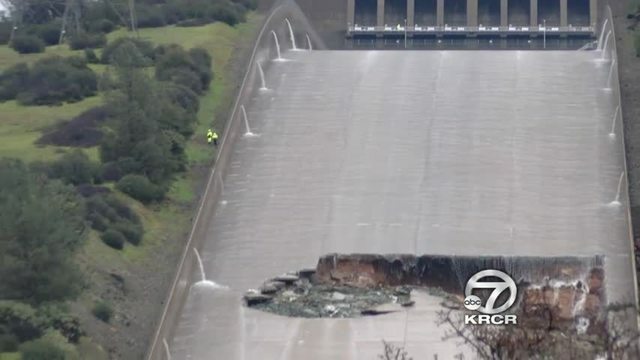 Unexpected erosion chewed through the main spillway earlier this week, sending chunks of concrete flying and creating a 200-foot-long, 30-foot-deep hole that continues growing. Engineers don’t know what caused the cave-in that is expected to keep getting bigger until it reaches bedrock. 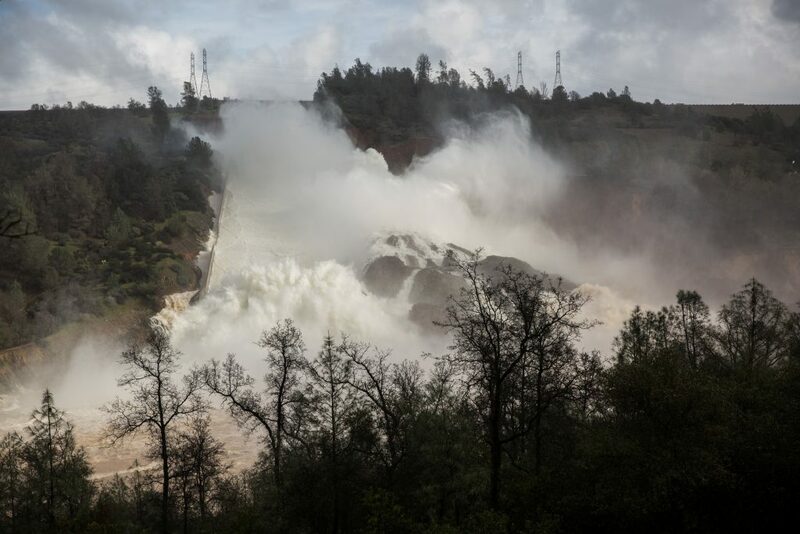 Officials hoped to avoid using Oroville Dam’s emergency spillway, fearing it could cause trees to fall and leave debris cascading into water that rushes through the Feather River, into the Sacramento River and on to the San Francisco Bay. Crews prepared for several days, clearing trees and brush. 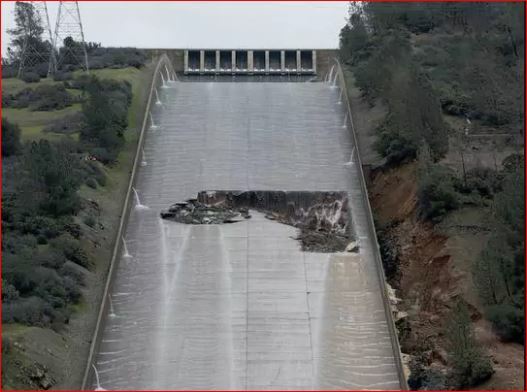 BUT, water began running over the emergency spillway around 8 a.m., according to California’s Department of Water Resources. It was the first time the emergency spillway has been used in the reservoir’s nearly 50-year history. 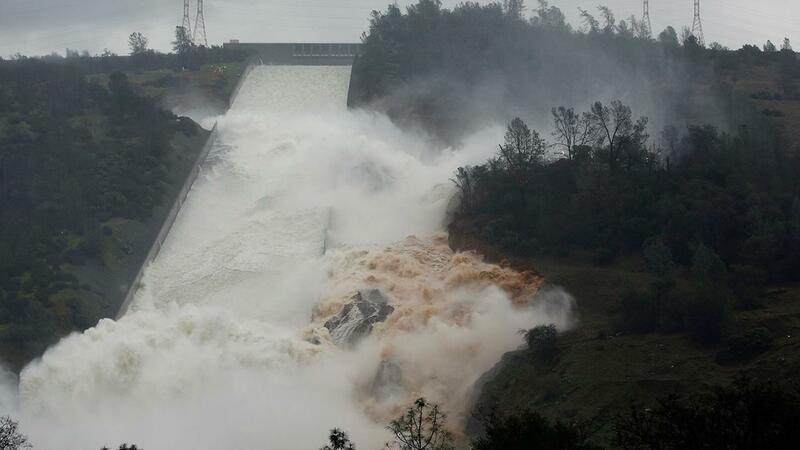 Too much water: The Oroville dam overflows for the first time in its history. 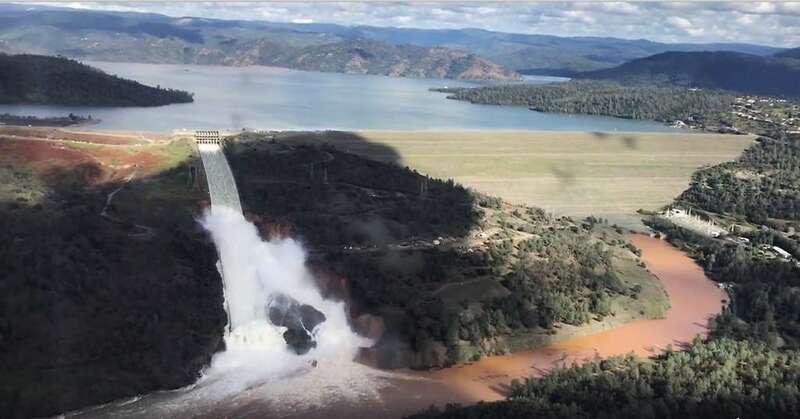 Water was expected to continuing flowing over the emergency spillway for 38 to 56 hours, agency spokesman Eric See said at a news conference Saturday afternoon. In addition to the emergency spillway, water is also flowing through the main spillway that was significantly damaged from erosion, he said. According to officials sources, the 200-foot-long, 30-foot-deep hole continues growing. Imegine the power! 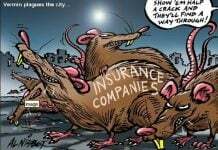 The main spillway will need a “complete replacement” from the damage. 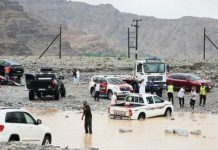 Officials noted earlier this week that the cost of repairing the dam could approach $100 million, but they noted the estimate was an early, ballpark figure. State officials also had been attempting to rescue millions of hatchery-raised fish imperiled by muddy water flowing downstream alongside the damaged spillway after sections of its concrete walls collapsed earlier this week. 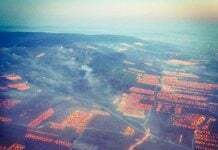 Another crazy event triggered by unprecedent weather phenomena.